Howards End is a book about captivity and freedom. It is a book full of prisons and escapes, cages and invisible bars, near misses and distant futures. It is wedded beautifully by its fifth chapter to the sounds and structures of Beethoven’s Fifth Symphony; “the most sublime noise that has ever penetrated into the ear of man. All sorts and conditions are satisfied by it […] disconnecting the heroes and shipwrecks of the first movement from the heroes and goblins of the third.” It has given to the language, or at least to Radio 4, the much overused and mis-quoted “only connect” and it is this, not Beethoven, that provides the structure of captivity of the novel, this that teaches the reader how to look at life and how to live it and value it and weigh it. 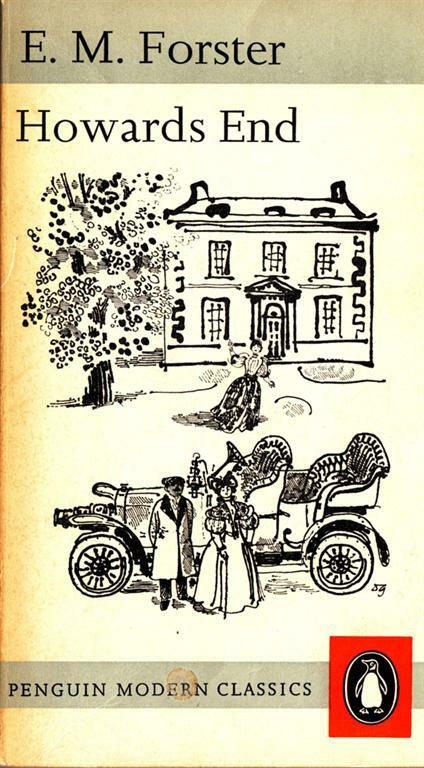 Howards End is a book about the space between captivity and freedom which is to say poetry and drudgery: “the building of the rainbow bridge that should connect the prose in us with the passion.” The poetic, passionate Schegel sisters and the prosaic, modernising Wilcoxes. The romantic, promising railways and the rise of the dull, dirtying car. The march of vapid economic power that adds only to ‘life’s daily gray’ and not to the many and resplendent colours of the world: “the particular millionaire who owned the freehold of Wickham Place […] was not a fool – she had heard him expose socialism – but true insight began just where his intelligence ended, and one gathered that this was the case with most millionaires.” And all the time this same tension between the two, the effective, forceful gray and the peacocking poetry that adds to the colour of the world, but not to its substance. If Howards End has a message then it is this: freedom lies only in combinations of the two. ← 10. Why read (best-sellers)?